With basic search you can make search by title, by author or for example by search words, which describes the content of the publication. 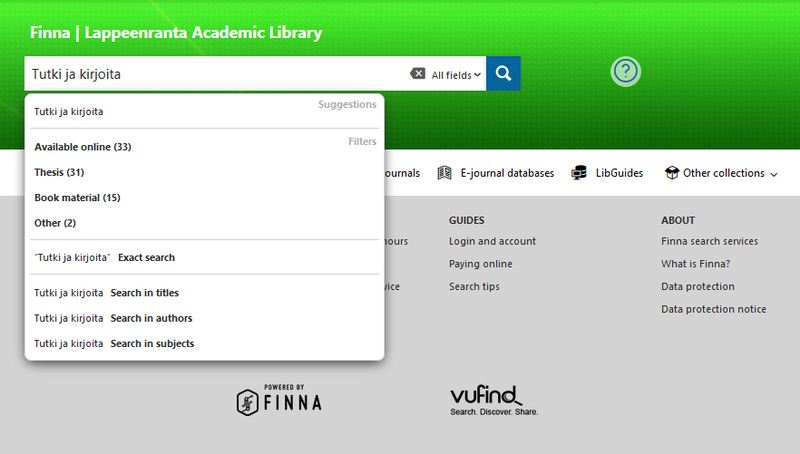 Finna offers search tips, for example you can search only book material about the subject. Use advanced search when you want to search information about specific subjects. Single words can be enclosed in quotation marks to search for an exact term, ignoring different conjugations.You can perform a precise phrase search enclosing the search terms in quotation marks, for example "social media". You can narrow the search in Finna on the righ side column. 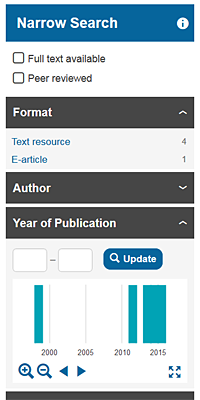 The search can be narrowed fo for example full text or peer reviewed material and also by format, e.g. year of publication.